Samsung releases so many phones in so many variants that even professional gadget bloggers get turned around on occasion. But the folks on the CyanogenMod team are doing their best, bless 'em, and today's fruit of their labor is ROM support for an extra variant of the Galaxy S5 and Galaxy S4. The most pertinent one for American readers is probably the G900-T, the Galaxy S5 model sold by T-Mobile as their branded version. But it's not that simple, because Samsung. This particular model is sold in at least a few international markets as a standard unlocked phone, powered by the usual Qualcomm SoC that Sammy seems to default to when anything goes wrong with Exynos. (If you're wondering, its LTE bands are 1/2/3/5/7/8/4/17.) On CyanogenMod's equally obtuse download page it's labeled as "klte," currently with one nightly build available. There's also the i9506, a later model of the Galaxy S4 with added LTE-A capability and an upgraded Snapdragon 800 processor. I don't think it's ever been sold on its own in the United States, but international smartphone buyers in the market for a new phone well after the initial launch of the S4 got a nice upgrade in speed and capability. 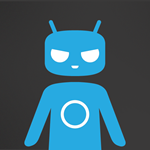 The i9506 is labeled as the Ks01lte on CyanogenMod's download page, and it also has a single nightly available. Both phones should be easy enough to unlock via the bootloader, so all you'll need to run the CyanogenMod ROM is a custom recovery and the optional Gapps package for the Play Store and other Google services. Happy flashing.